Bob's Barricades, Inc. is the largest privately owned barricade company in the country and one of the largest in the world. Bob's Barricades, Inc has been providing temporary traffic control since 1975 under the same ownership of Happy Alter, Owner/Chief Executive Officer and Alan Chesler, President/Partner with cost-effective, quality products, dedication to safety, and reliable service. Our professional team of industry experienced and trained employees covers the entire State of Florida and parts of Arizona. Each branch operates with separate and dedicated management and operational teams. 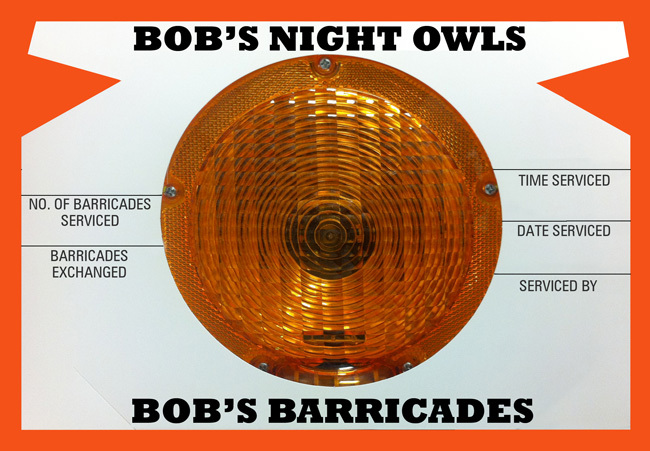 During its years in business Bob's Barricades, Inc. has earned the distinction of being chosen to partner in the largest and most expensive traffic control jobs in the history of Florida; I-595 Corridor Roadway Improvement in Ft. Lauderdale and the I-4 Connector in Tampa. Our signature “Night Owl” program provides an additional service team proving that the service on our jobs has been completed. Our special card is placed on our warning lights letting the contractor know their lights have been serviced. Due to our combination of service and price we're proud of our ability to dominate the market in the traffic control division. Please click here to view Bob's Barricades news clip on Channel 10.